Thirty years ago this ski season the U.S. Ski Team enjoyed its greatest Olympic success to date at the 1984 Sarajevo Winter Games, collecting five alpine ski-racing medals, including the first ever gold medals for American men after nearly five decades of futility. Sarajevo remains the best gold medal (three) and second best total medal haul for the alpine squad behind only the eight medals (two gold) collected at the 2010 Vancouver Winter Olympics. But Sarajevo could have been better – should have been better – according to observers of what remains one of the most controversial episodes of recently retired USSA chief Bill Marolt’s storied career. “Sarajevo is still the high-water mark,” said John McMurtry, women’s U.S. 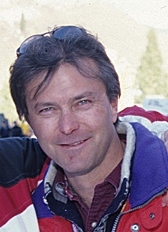 Ski Team and Olympic team slalom and giant slalom coach in 1984 and currently the director of development for the Steadman Philippon Research Institute in Vail. 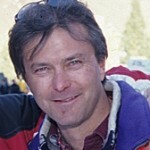 A Colorado Ski and Snowboard Museum Hall of Fame member since 1995, McMurtry was later director of athlete development and alpine director for the U.S. Ski Team. In a move that, according to McMurtry, had disastrous ramifications for the next decade of Olympic competition, U.S. Ski Team coaches decided to set very strict criteria for making the Olympic team (one top 10 or two top 20s on the World Cup circuit) and then rigidly adhere to those criteria. The U.S. Ski Team, with Marolt as the alpine director, infamously declined to fill its full quota for the ’84 Games, taking only “half a team” to the former Yugoslavia. A handful of young racers from Aspen and Vail who were battling hard on the World Cup circuit and right on the bubble for making the team were kept off the Olympic squad and therefore unable to compete alongside eventual gold medalists Phil Mahre, Bill Johnson and Debbie Armstrong and thereby gain invaluable experience for 1988. And those Games – the 1988 Calgary Winter Olympics – represent the low-water mark for the U.S. Ski Team, producing zero alpine ski-racing medals and marking only the fourth time in Olympic history (alongside 1936, 1956 and 1968) that both the American men and women were shut out. The 1936 Garmisch Games were the first ever for alpine skiing and included just one event, the combined, and the shutout at the 1968 Grenoble Olympics arguably ended the tenure of U.S. Ski Team founder Bob Beattie – the man who coached the team to the first ever U.S. men’s Olympic medals in 1964. Marolt, who raced for Beattie at those ’64 Games on a coach’s exemption, deservedly won great praise for the U.S. success in 1984, but he had moved on to become athletic director at the University of Colorado by the time the full repercussions of the 1984 quota decision were felt in 1988. McMurtry worked for Marolt in 1984. Writing in response to a column by Bill Marolt’s nephew, Roger Marolt, in the Aspen Times in December, McMurtry said the team’s coaching staff decided not to fill the Olympic team quotas with the next athletes in line and that Bill Marolt backed their decision and then took the heat. “It did not take me long afterward to realize that this was the worst decision that I was ever a part of during my years with the U.S. Ski Team,” McMurtry wrote to Roger Marolt. “Not only, as you suggested, did it ‘undermine the depth of human spirit,’ but it violated the Olympic creed and an unwritten principle in this country (maybe it is written now) that we fill our quotas with deserving athletes. In a follow-up interview this month with Real Vail, McMurtry said the reason for sticking with that strict selection criteria was pretty simple. “We felt strongly as a staff that [the criteria was] what we announced ahead of time and that … it would be unfair to those athletes that really fought hard for those spots to now go back and say, ‘OK, we’ll now name two more athletes to the Olympic team,” McMurtry said. Heading into Sarajevo, the U.S. was stacked with top World Cup performers, including 1976 Olympic downhill bronze medalist Cindy Nelson of Vail. In GS, Armstrong won gold, Christin Cooper claimed silver and Tamara McKinney – the overall World Cup champion the season before – narrowly missed making it a U.S. sweep, finishing just off the podium in fourth. Cooper and McKinney, heavy favorites in the slalom, both skied out in the first run, and no other Americans had been tabbed to compete. 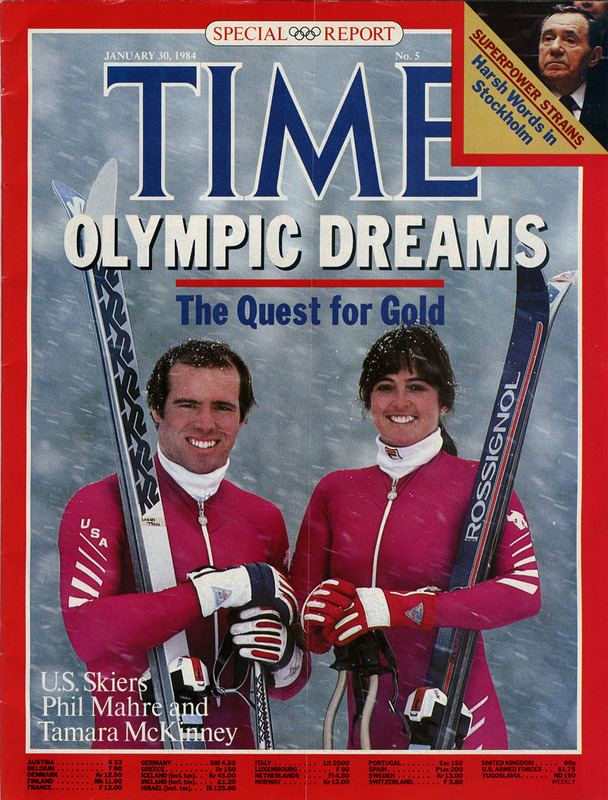 Eva Twardokens and Ski and Snowboard Club Vail alpine director Karen Lancaster Ghent were two of the athletes who could have filled those slalom spots in ’84, according to a column by former U.S. Ski Team member Edie Thys Morgan. But before and after the fateful 84 decision, the Olympics have proven over and over again that athletes can come from nowhere and shock the world at the Winter Games. Sochi 2014 and Vancouver 2010 super-G silver and bronze medalist Andrew Weibrecht is living proof of that, having never stepped on a World Cup podium in his career. Julia Mancuso has more Olympic and world championship medals (nine) than World Cup wins (seven). And no one outside of France or Austria had heard of Leonhard Stock, Jean-Luc Crétier or Antoine Dénéraz before their Olympic downhill wins in 1980, 1998 and 2006 respectively. 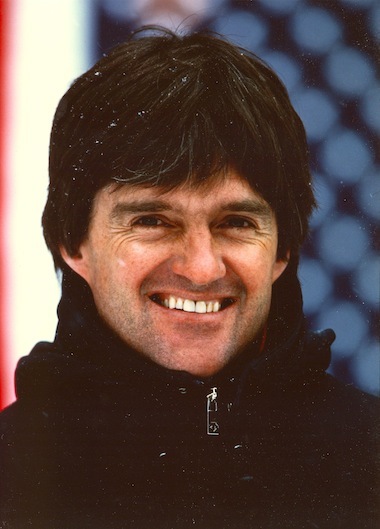 Vail’s Mike Brown was right on the bubble in 1984 with a 14th and a 21st-place finish in the first few races of his rookie World Cup season of 1983-84. Aspen’s Mark Taché had two 21st place finishes, including a World Cup slalom at Kitzbuhel. Both young racers were left behind when the Olympic team headed to Sarajevo. But Brown said he was in fact left off the ’84 team despite being very close to meeting the criteria and that it later impacted his chances of making the 88 Olympic team. Brown blames Bill Marolt for not overruling his coaches, but he mainly he puts the onus on head coach Teo Nadig of Switzerland. Taché tells of coming down from his hotel room on the World Cup circuit in Bulgaria, thinking he had made the team, only to discover that “the coaches, Phil [Mahre], Steve [Mahre] and Tiger Shaw, were gone” and on their way to Sarajevo. 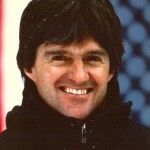 Shaw, who has replaced Bill Marolt as head of USSA, was a DNF in both his events at Sarajevo. The Mahre brothers went 1-2 in the slalom. Bill Marolt, the most successful USSA chief ever and a member of the Hall of Fame, did not respond to a recent interview request. “Bill and I have talked about the issue before, sort of,” Roger Marolt said. “It’s not something he wants to go into great detail about. I’m pretty sure he wishes he had done things differently. Brown still has a hard time explaining why the United States didn’t take a full complement of qualified athletes to the 1984 Winter Olympics. “We had joined a team that did not have our best interests at heart, which really was counter-intuitive to all of us,” he said. I was selected from the Vail Ski Patrol to put together the first alpine races since Colorado refused the Olympics. The pressure put on me by Bill “Sarge” Brown was significant. I met with Teo Nadig and I’d echo the statement he hated the US racers. This was a horrendous choice to shepherd our young racers. When Marolt pulled his infamous stunt it let all the air out of the racers, the on hill construction crews….virtually everyone. I remember Doug Lewis racing with a “We need Brownie” sticker on his helmet and we loved him for it. Strangely our dislike for Marolt overshadowed all of our efforts to bring World Cup Racing back to Vail. Bravo to you for bringing daylight to this very dark chapter of our history. The fact Marolt is in the Hall of Fame further demeans what is held to be a joke…….The Hall of Infamy….